Model QES1510-050 10.4 In LCD replaces Totoku MDT1283B (MDT1283B-1A, Type MDT-1283-02), 12 In Amber CRT Display used in Mazak M2 T2 system, T/Mplus, T/M32B. 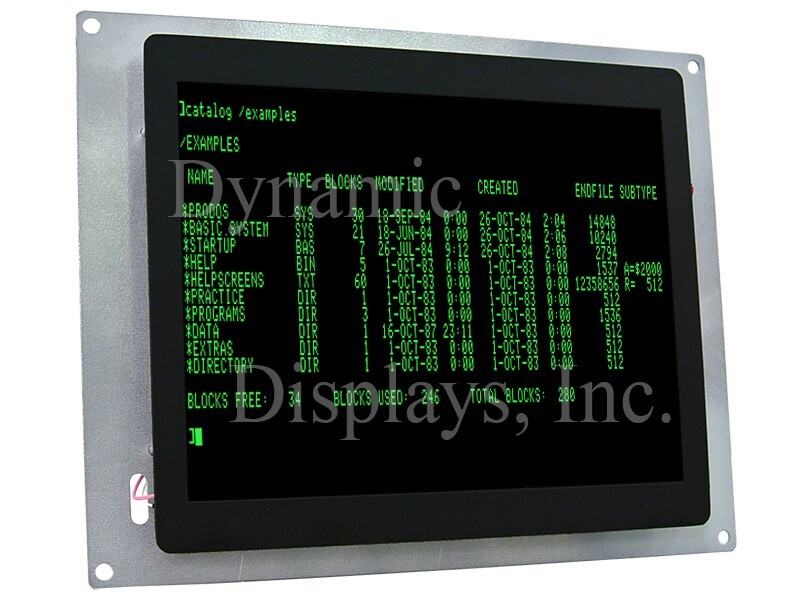 Dynamic Displays manufactures a replacement LCD monitor with LED backlight, model QES1510-050, designed to be a plug and play substitute for the Totoku MDT1283B (MDT1283B-1A) amber monitor used in the Mazak CAM M-2, Mazak CAM T-2, Mazatrol M32B Systems. This rugged flat-screen LCD Display is mechanically and electronically compatible with all Totoku system controls that were originally equipped with the Totoku MDT1283-B Monitor and easily attaches to the existing 12 inch CRT metal chassis mounting brackets after the CRT has been removed. Upgrading your old console CRT unit with a reliable LED backlit QES1510-050 Totoku 12 in Replacement Monitor increases productivity by providing a brighter, sharper and crisper image. In addition the LCD upgrade is cost-effective and extends the useful life of your existing automation investment. Replace your old, low-performance CRT display unit with a new, affordable, quality replacement LCD Flat Panel display. Check out the QES1510-050 industrial LCD monitor the next time you need to replace old Totoku MDT1283B CNC monitors. Whether you need a Mazak 12 in Replacement Monitor for your Mazak Mitsubishi M32 Controls or Mazak Mitsubishi T32 Controls the QES1510-050 LCD display is the monitor to fit your Mazak equipment. The list below represents legacy products that can be replaced with this product. 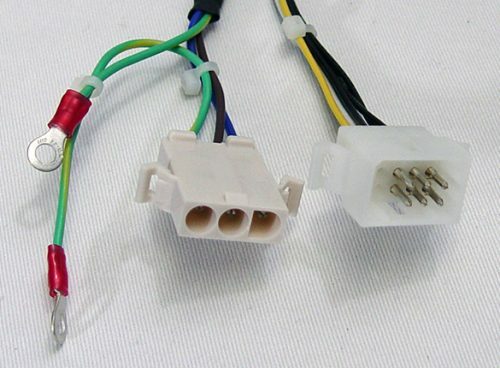 Totoku MDT1283B (Type MDT-1283-02), 12 In Amber CRT Display Replacement - Interface Connectors.